The guys from G-Power are not only known for incredible horsepower figures reached on their projects, they have actually built a reputation based on it. They are the guys behind cars with thousand horsepower figures, from supercharged S85 mills to more modern cars, like the BMW M850i xDrive. Even though the German tuner isn’t necessarily known for giving M Performance models a lot of attention, the M850i is a special car in every sense of the word and got a bit of TLC ahead of time. 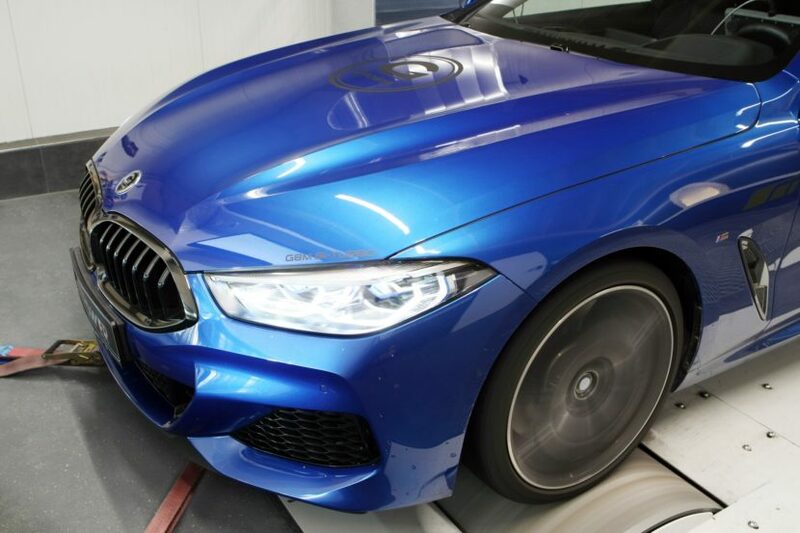 Normally, the tuners would wait for the full-on M8 to come out but the German engineers did such a good job on the M850i xDrive that is is being currently tuned all over the world. In the G-Power version, you get a serious bump in power. The guys haven’t released a full kit for it or complete spec list but they teased us already with a couple of photos posted on their Facebook page, where we can see two distinct power kits. The Stage 1 upgrade has the 4.4-liter V8 engine on the M850i taken from its stock 530 PS and 750 Nm of torque to 620 PS and 850 Nm of torque. Those figures alone are better than the ones of the most powerful iteration of the S63 engine, beating the F90 M5 Competition in the torque department and being just 5 PS shy of its maximum output. But that’s not all, as the Stage 2 upgrade takes things up to 670 PS and 890 Nm with a catch, as it needs different downpipes to work. With such figures, we can’t wait to see how fast this thing could be. The M850i is only available with xDrive all-wheel drive so you know it’s going to rocket from standstill once G-Power is done with it. Now we have to wait for the full specs and a price tag though as development on the cars continues.